It’s easier to type and play games on your tablet or PC with a Logitech keyboard. If you use your PC for gaming, try a Logitech gaming keyboard and you’ll open up a world of faster, better gameplay. If you use a tablet at work or in college you’ll know how important it is to take accurate notes that you’ll be able to read later. Adding a Logitech keyboard to your tablet will make it quicker and easier to type and will cut down on typos and other mistakes you might make when using the touch screen. It can make a big difference to gameplay when you add a Logitech keyboard to your gaming rig. Our range of gaming keyboards are specifically designed to make gaming easier and more fun and they come with a ton of useful features such as extra lights and buttons that you won’t find on a normal keyboard. 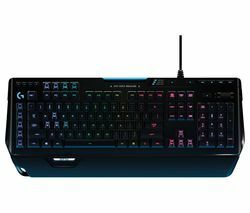 Logitech have a full range of keyboards online, from affordable versions that are perfect for your home office to high-end gaming keyboards for your dedicated games machine. 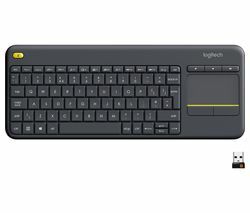 We also have a Logitech wireless keyboard that’s perfect if you want to cut down on the amount of wires in your office. If you’re looking for an affordable keyboard that won’t let you down, our Advent keyboard range is well worth taking a look at. Whether you need a new keyboard for your work PC or for your gaming set-up, a Logitech keyboard is ideal.